THIS is the story behind how I developed an effective, motivating and personalised interval session, which is the perfect booster for VO2 max. First, they identify their current fitness using relevant performance tests. Second, they execute the VO2 max session as outlined. If you want to go directly to the interval session, please scroll down to the bottom of this article or watch the video. If you want to hear how I developed this training session – hang on! During the last few years, I have analysed lots of heart rate and power files from cycling races. I’ve spent time focusing on the most decisive moments during races; for example, the moment when you try to shake off your nearest challengers. Based on my analysis and research, I’ve developed a unique training method that will dramatically boost your VO2 max. 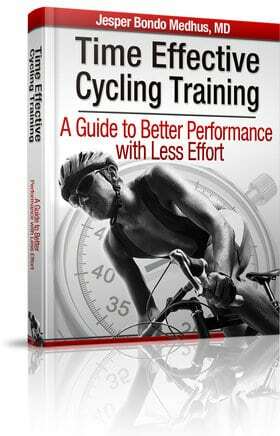 And I’ve been using this new interval training session during the last year with great success. At the crucial moments during a race you will perform at your five-minute maximum power for about two to three minutes. Since you are already warm (on 80-85% of max heart rate) because you have been racing, it only takes a short burst of power before you hit your VO2 max peak. Riders who launch an attack typically establish a gap of between 50 to 100 metres during these initial minutes of aggressive cycling. All cyclists, breakaway riders as well as people left in the peloton, will feel the burn in their legs at these moments, so everybody will be suffering. 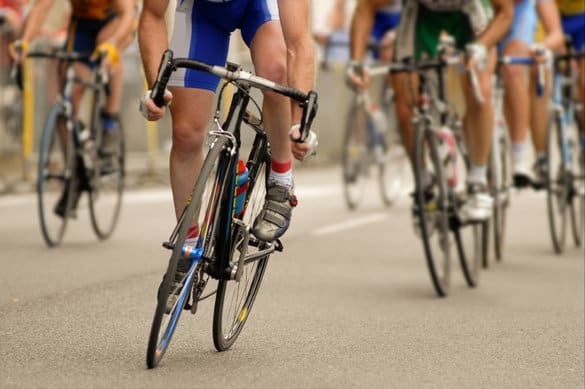 Since the breakaway riders have already expended a lot of energy to establish their lead, they will have to keep struggling on in the hope that the peloton will allow them to get away. If they succeed in establishing a small breakaway group, they will keep the intensity slightly below or around threshold power. But as the initial two to three minutes were at their VO2 max, they would have already used a significant part of their anaerobic reserve. This means they have to maintain the highest possible intensity without accumulating additional lactic acid to avoid blowing up. So they have to ride at an intensity close to their functional threshold power during this continued attack. The following five to eight minutes are crucial in deciding if this will turn out to be a winning break or not. If the peloton fails to reel in this group of leaders within five minutes, it is more than likely that they will not see them again during the race. But if the pack does manage to chase down the breakaway riders, then the race becomes wide open again, and there is a golden opportunity to launch a counter-attack. Please bear in mind that we are talking about breakaways established at the ”business end” of a race ‒ not tactical moves during the early stages. VO2 Max. You get an extended stimuli of your aerobic system at an intensity close to or at your maximal oxygen consumption. The initial two minutes activates your aerobic system, so it performs close to maximum. When you reduce your intensity to threshold power, you’ll be able to continue at maximal oxygen consumption without accumulating too much lactate. Therefore, you get an extended period of time with maximum impact on your aerobic system without too much suffering (don’t forget though, it’s still an EXTREMELY hard workout). You’ll reach a heart rate >92% of maximum heart rate. Motivating interval design. The initial 30-40 seconds is a piece of cake but then it begins to get harder. When you’ve completed the first minute you will be halfway through the toughest part. By pushing the highest power outputs at the beginning of the interval, you’ll have a good feeling that you can actually complete this interval as scheduled. High specificity. It is an old rule of thumb that you should train with your goal in mind. Make the training as relevant as possible. This interval is designed to simulate a cycling race and it certainly feels like one. When you struggle during the last four minutes of this interval, it feels you are enduring the pain of a tough race. Those riders who have been test pilots on this interval session will readily confirm that the mental and physical experience is the same. Personalised intervals. This workout is based on your performance in two different physical tests to create a customised interval session to suit YOU. It will offer you the huge advantage of securing optimal training of your VO2 max. Great results guaranteed. 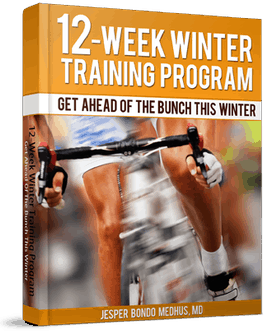 Your aerobic engine will thank you for it, and after just a few of these training sessions, your overall performance will improve significantly. They are the five main reasons I believe this training method should be an integral part of your interval training, at least during the last six to eight weeks before important races. This VO2 max session is based on your performance in two separate physical tests. This knowledge gives you an advantage when you plan your training session. Instead of calculating your VO2 max as a percentage of your threshold power (or the opposite), you will base your decisions on your actual fitness at those intensities representing different physiological skills. So you end up with a bespoke training session that is perfect for you. If you haven’t performed these tests recently (<2 months), then it makes sense to tackle them again. If you’ve never tried these five and 30-minute performance tests before, you can read more about them here. If you don’t have access to a power meter or ergometer bike, it gets a little more difficult to control pacing, but you can still have a decent workout. Ride the first two minutes as if it was a 4km pursuit and ride the following eight minutes as a 40km time trial. It’s not optimal but it works. After two rounds of 2+8min, you’ve had a decent workout. Some riders may want to ride more after finishing the interval session and that is no problem. You may prefer to ride for an hour or two with low intensity. You can add as much distance as you like. Remember to refuel immediately after finishing the second VO2 max interval. This workout has a huge impact on your recovery time, so give yourself the best odds to recover quickly so you reap the full benefits from your effort. – Try the VO2 max training session and leave a comment about your experience. – Write about this new training method on your personal blog or website. Seems nice workout. Going to try it out. One thing escaped my attention. I’m wondering how often should one do this workout? Every other day for a week? Or would you advise to execute daily as long as one can keep up with the said power levels, 5min max and 30min max respectively? One option might be 2 week block with 2-3 sets (2 intervals per set as advised) on week 1 and 3-4 sets on week 2. Hi Jesper, found your site a week ago and tried this training this morning. I have no power meter or static bike, only an hard tail MTB and a heart rate monitor. I chose a moderate 4km 3% stretch of asphalt incline to do this. First impression: the vo2 was tough and I feel I worked out! I found it very hard to pace the first 2 minutes at ~183bmp each time, however the following 8 at ~172 were sustainable both times. Strava has me at ~350w on the first 2 minutes and 280w on the 8 minute stint. My age is 44, 70kg, 170m tall. In 2,5hr races I have averaged 170+ heart rates. Pushing moderately on 1,5hr rides with not too many technical descents Strava has me at ~260 average power. With the means I have, am I doing it at the right intensity? Let’s see how this works out over the next couple of weeks..